Purchase as a set of 3 and save some time. By Remo. Key-Tuned Tubano - Kinte Kloth Finish. 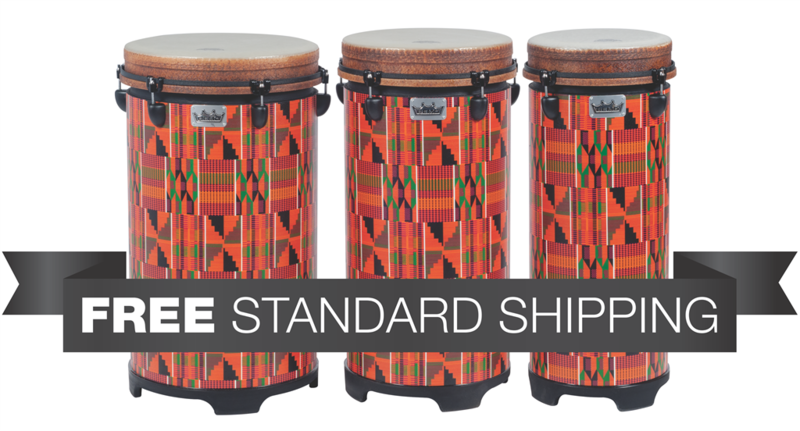 Tunable drums have the advantage of allowing you to adjust the pitch to your own preference. 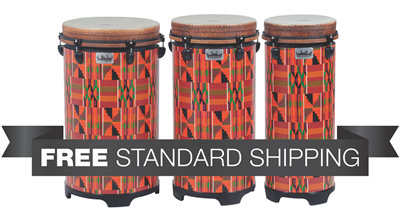 Tubanos are a Remo Drum Company exclusive. 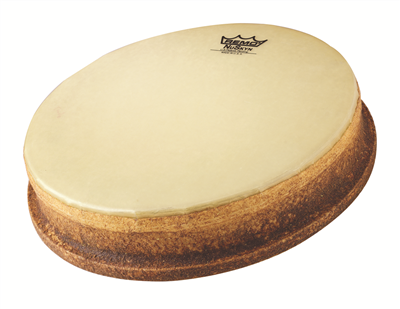 Conga-like in sound, the tubano features an internal resonating tube and four molded feet to allow full resonance without using a floor stand or tilting the drum. The Acousticon shell is manufactured from recycled hardwood fibers and is unaffected by climatic changes; NuSkyn head gives a comfortable sound, feel, and warmth without unwanted overtones. Uniquely accessible to everyone, from professional performers to children standing while playing to music therapists working with wheelchair-bound patients. 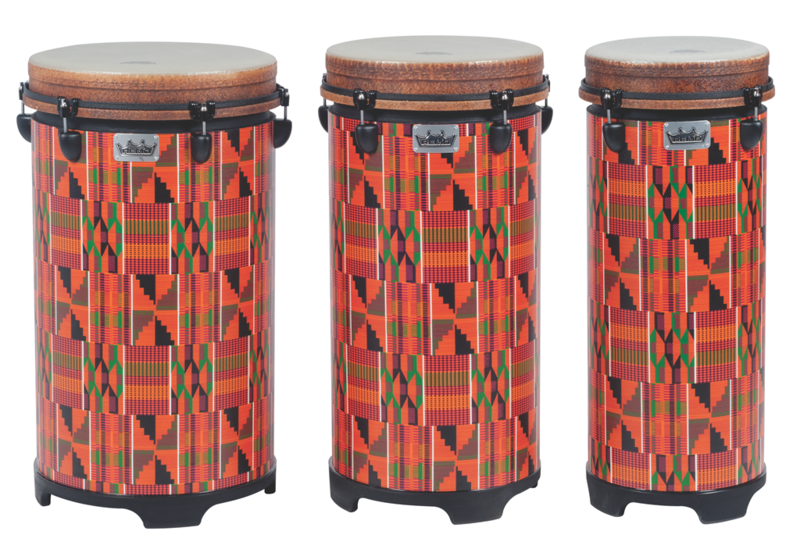 We got a grant to purchase seven sets of these drums (to round out our set of 11 we already purchased from West). The product was delivered very quickly, were in perfect condition, and look and sound fantastic. They have a depth of tone that is easy for even the smallest children to produce. 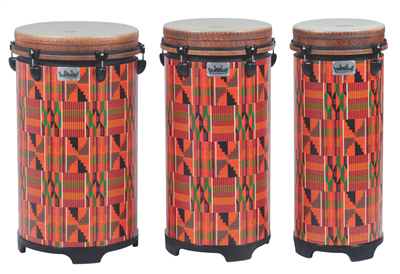 My students played these drums every day this school year and the drums look like they just came out of the boxes. The free shipping was a definite plus!